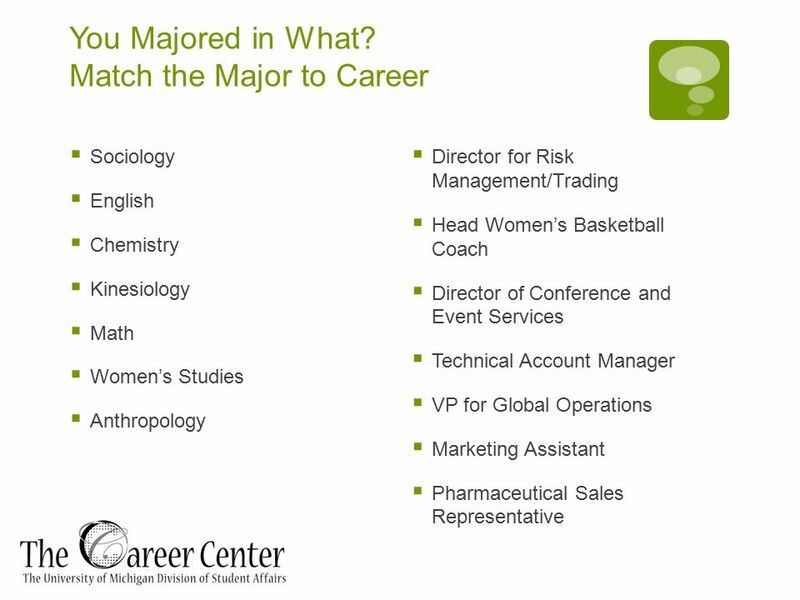 Career Options for Women’s Studies Majors Amy Hoag The Career Center www.careercenter.umich.edu. 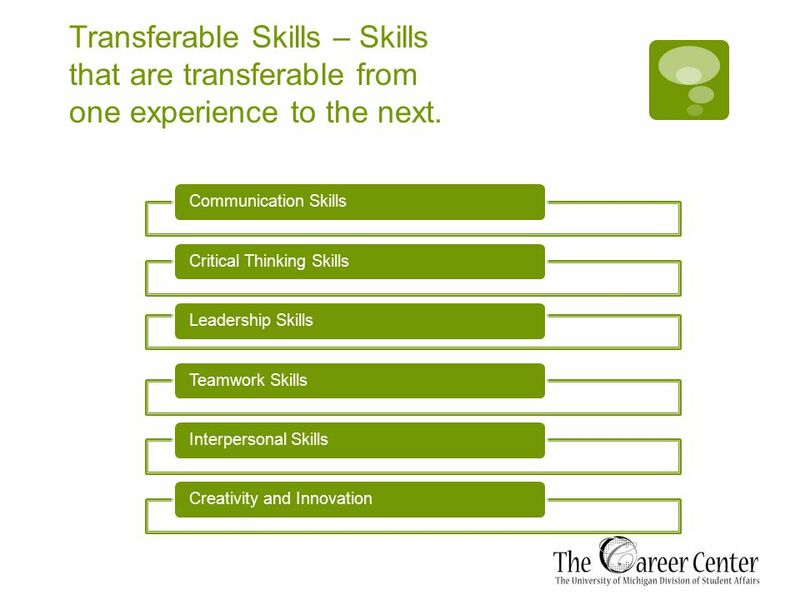 7 Communication Skills How has your major helped you develop these skills? 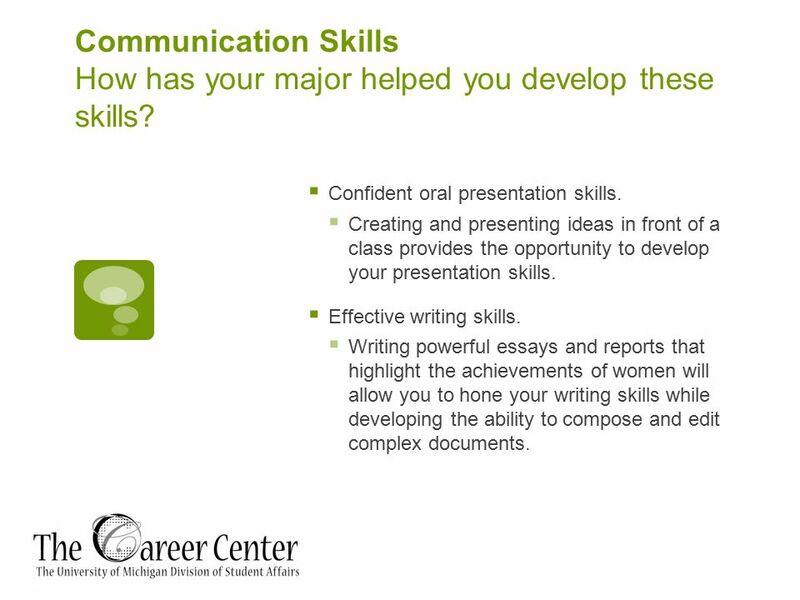  Confident oral presentation skills. 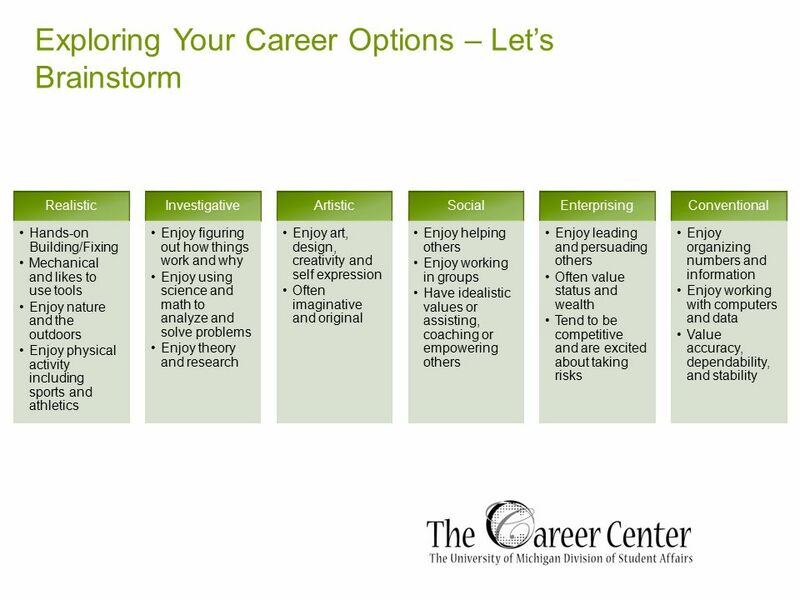  Creating and presenting ideas in front of a class provides the opportunity to develop your presentation skills.  Effective writing skills.  Writing powerful essays and reports that highlight the achievements of women will allow you to hone your writing skills while developing the ability to compose and edit complex documents. 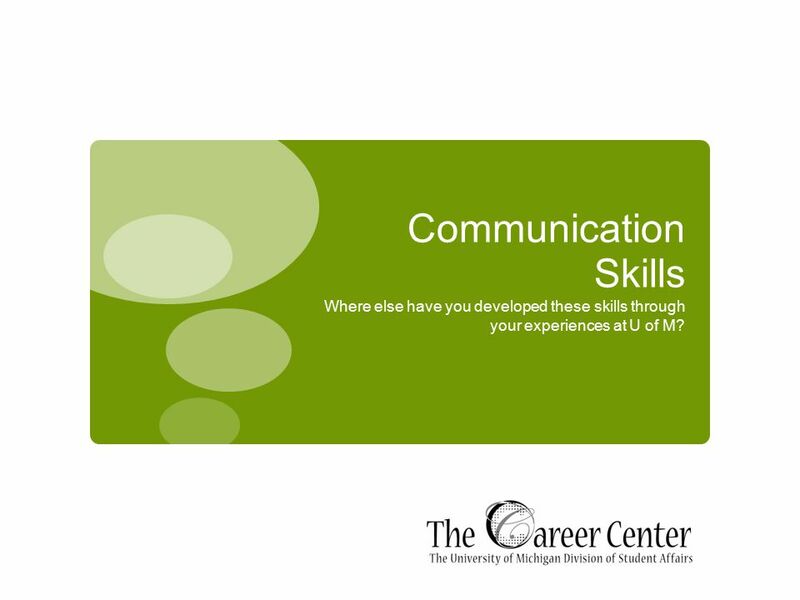 8 Communication Skills Where else have you developed these skills through your experiences at U of M? 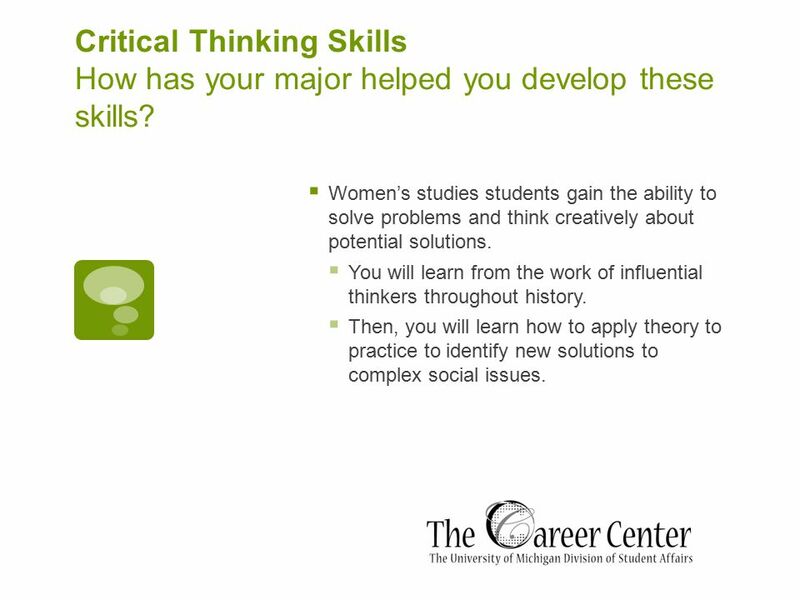 9 Critical Thinking Skills How has your major helped you develop these skills? 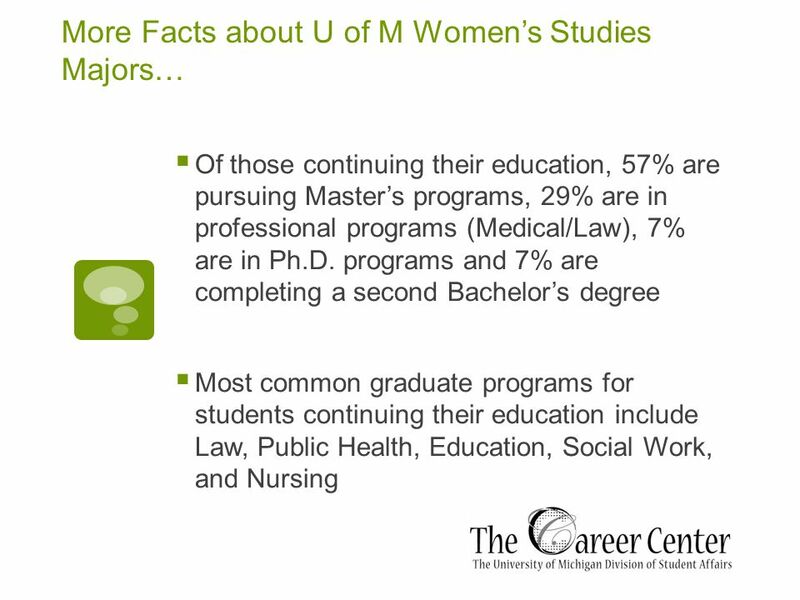  Women’s studies students gain the ability to solve problems and think creatively about potential solutions.  You will learn from the work of influential thinkers throughout history. 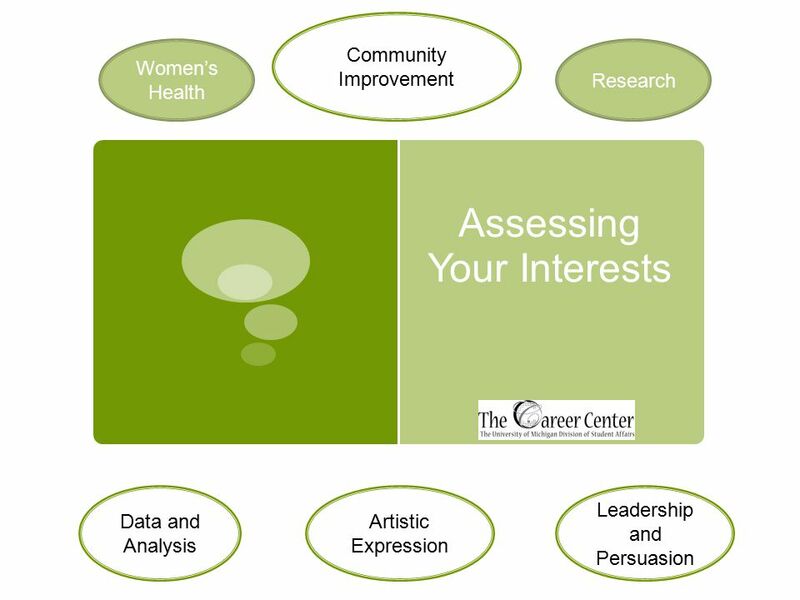  Then, you will learn how to apply theory to practice to identify new solutions to complex social issues. 10 Critical Thinking Skills Where else have you developed these skills through your experiences at U of M? 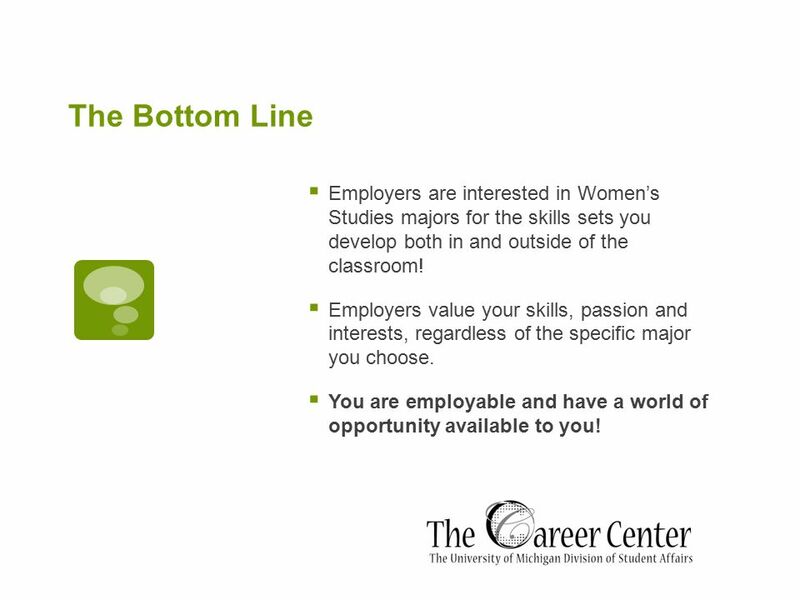 11 The Bottom Line  Employers are interested in Women’s Studies majors for the skills sets you develop both in and outside of the classroom! 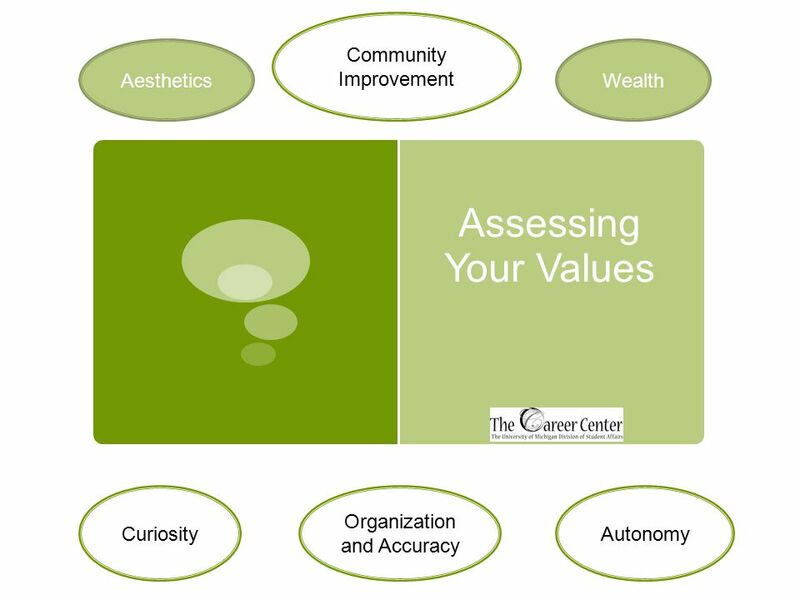  Employers value your skills, passion and interests, regardless of the specific major you choose. 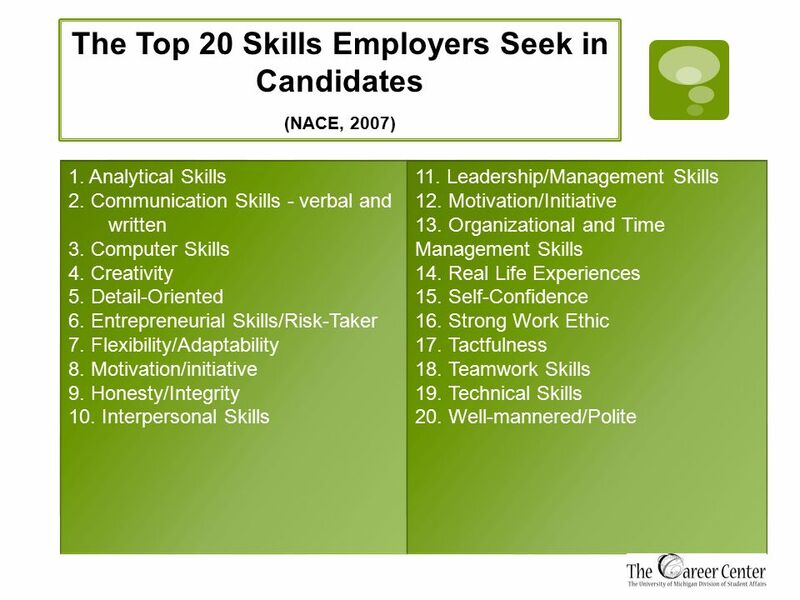  You are employable and have a world of opportunity available to you! 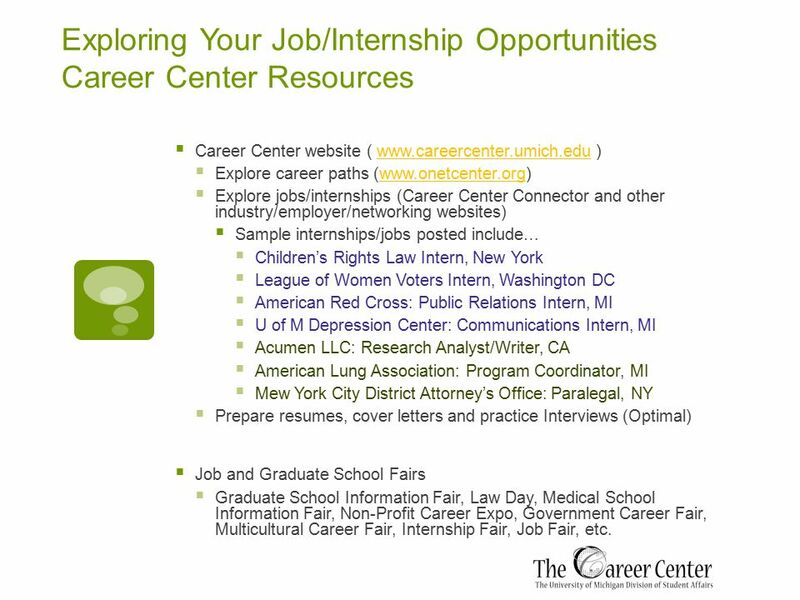 20 Exploring Your Job/Internship Opportunities Career Center Resources  Career Center website ( www.careercenter.umich.edu )www.careercenter.umich.edu  Explore career paths (www.onetcenter.org)www.onetcenter.org  Explore jobs/internships (Career Center Connector and other industry/employer/networking websites)  Sample internships/jobs posted include…  Children’s Rights Law Intern, New York  League of Women Voters Intern, Washington DC  American Red Cross: Public Relations Intern, MI  U of M Depression Center: Communications Intern, MI  Acumen LLC: Research Analyst/Writer, CA  American Lung Association: Program Coordinator, MI  Mew York City District Attorney’s Office: Paralegal, NY  Prepare resumes, cover letters and practice Interviews (Optimal)  Job and Graduate School Fairs  Graduate School Information Fair, Law Day, Medical School Information Fair, Non-Profit Career Expo, Government Career Fair, Multicultural Career Fair, Internship Fair, Job Fair, etc. Download ppt "Career Options for Women’s Studies Majors Amy Hoag The Career Center www.careercenter.umich.edu." 1Running Footer - Title or Subtitle. 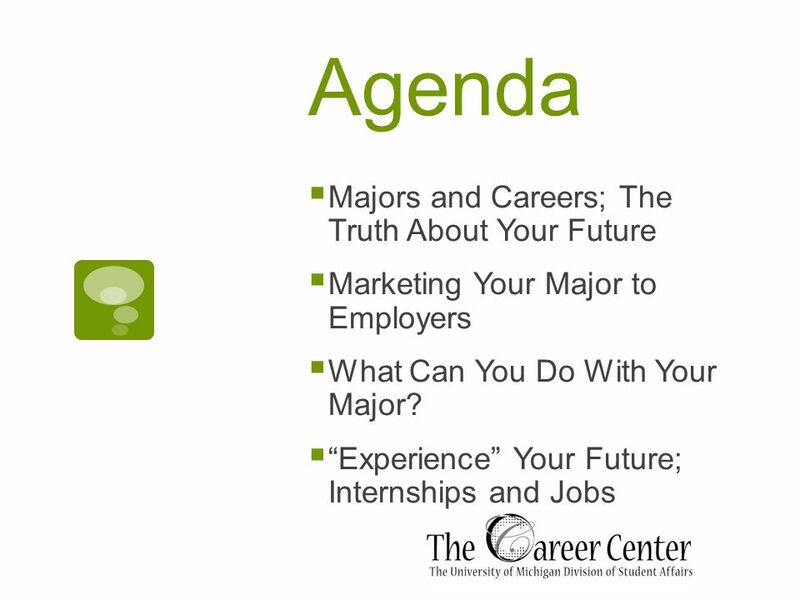 2Career Center Careers and Job Search for Psychology Majors Presented by: Rose Marquart, M.A. Liberal Arts Employment. Political Science at Columbus State. 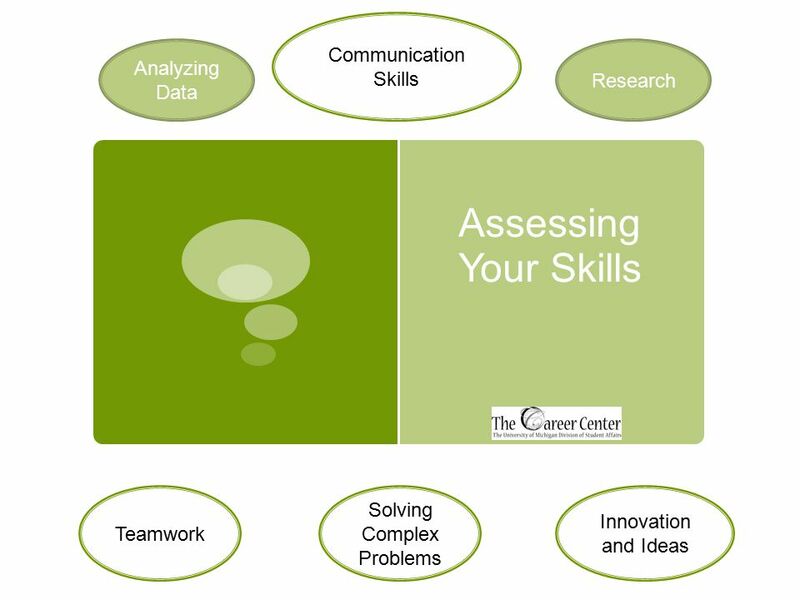 What are SKILL SETS? Why are they important to know? HOW DO YOU SEARCH FOR A FULL-TIME JOB? Career Development Center, SUNY College at Oneonta 110 Netzer Administration Building. 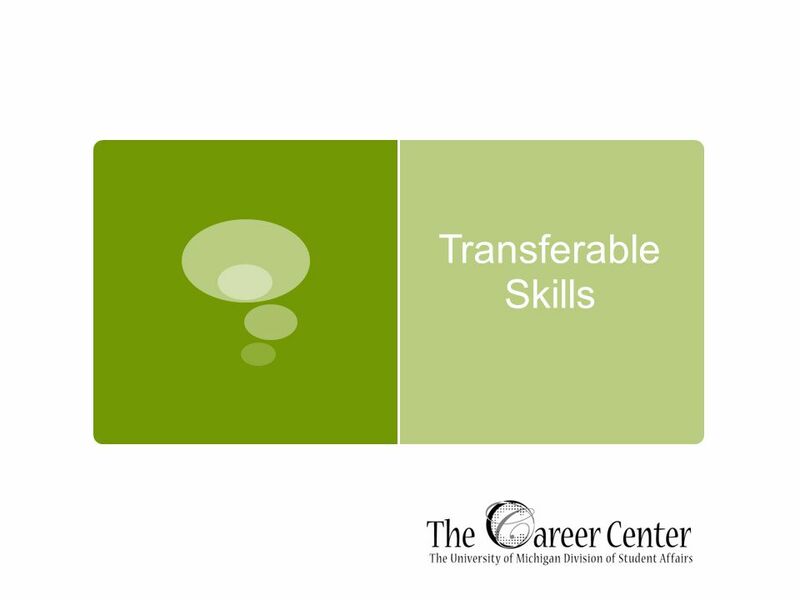 Translating Education into Careers Donald Hafner Vice Provost, Undergraduate Academic Affairs Janet Costa Bates Associate Director, Career Center. 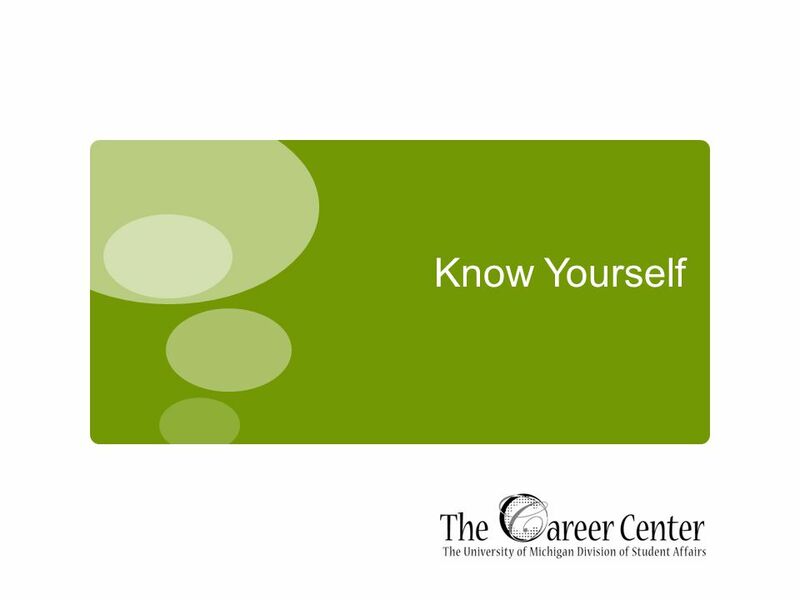 The Role of the School Counselor in Post-Secondary Planning Presentation By: Leah Byrd, Ph.D. Amy Kerns, M.Ed. Strong Interest Inventory The most widely used interest assessment in North America Started after WWI – veterans returning to the workforce. 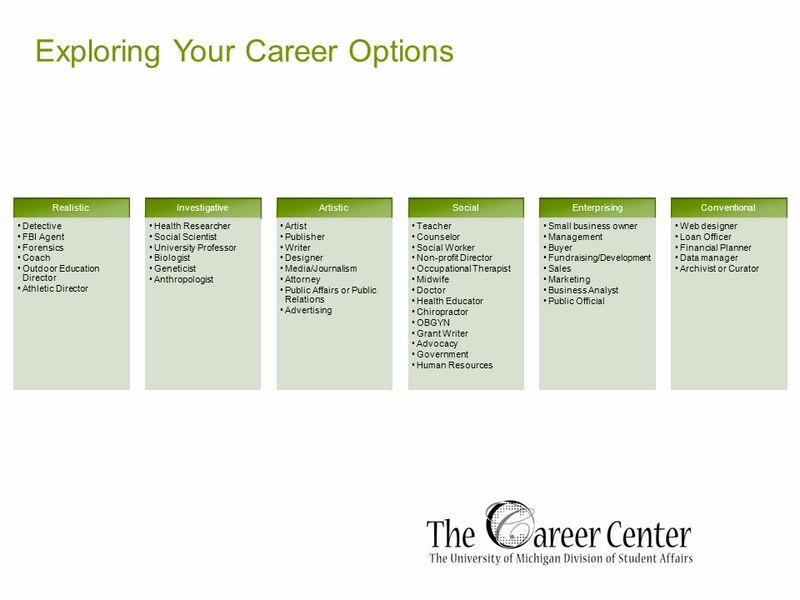 Career Services Baker University Center Office of Career Services Division of Student Affairs. Appalachian State University Michelle Brown Career Development Center. What can I do with my Psych Degree? What do you want to do? Cindy Mancuso M.Ed., c.o. 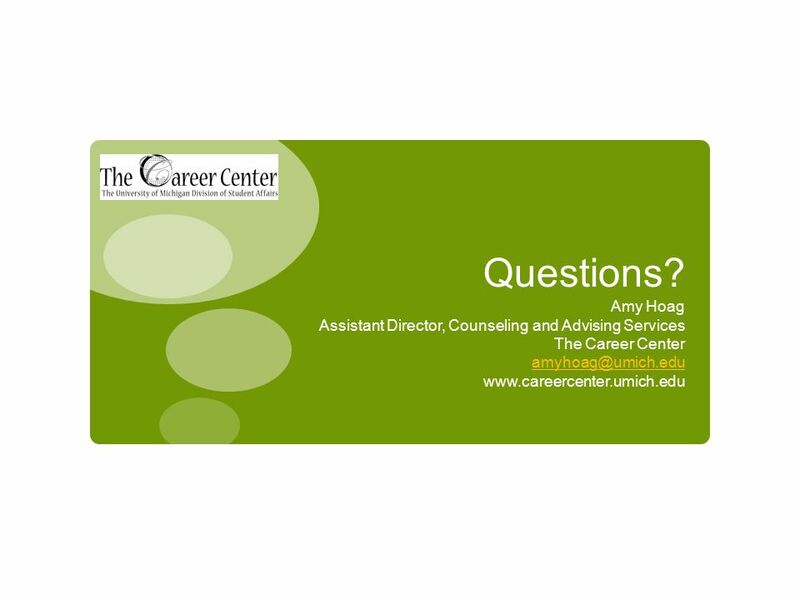 Career Counselor/Diversity Advisor McGill Career Planning Service.